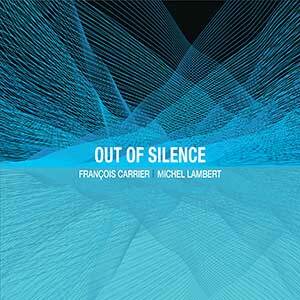 Music entirely improvised by François Carrier and Michel Lambert (SOCAN). Recorded live at Ryan’s Bar, Stoke Newington, London, UK, June 4th 2015. Sound, mastering and produced by François Carrier. Two of Canada’s foremost jazz artists, saxophonist François Carrier and drummer Michel Lambert, have come together to create and record a spontaneous, symbiotic expression of skilled, improvisational, musical possibilities. All of the pieces on this remarkable project are improvised creations of Carrier and Lambert, who by travelling along the tones and beats of mankind’s most elemental musical impulses have morphed into inter-dimensional space/time travellers – soaring seamlessly between conscious and subconscious thought, in and around their own memories and egos, through deep emotional subtext, cultural precepts and to the very soul itself. This CD was beautifully recorded as a live concert at Ryan’s Bar in London, UK, and Carrier wears several hats here: producer, sound designer and artist. There are seven odysseys on the recording – and each one is evocative and stirring in its own nuanced way, with its own dual-narrative. The opening salvo is the title track – crisp, arrogant, and at the same time, strangely melancholic – like a lost youth from West Side Storyquestioning every boundary. This is an urban landscape, and Lambert’s intricate and skilled brushwork, propels the action, while Carrier is the virtual voice in the Gotham-like wilderness. Ancient DNA engrams vibrate into this reality, with the addition of Carrier’s Chinese oboe. As the piece progresses, perspective and overview – both musically and emotionally – begin to percolate and coalesce; eventually, a new perspective is birthed by Lambert, whose playing feels as though it could be the sacred heartbeat of Mother Earth herself. Out of Silence (both the track and the disc as a whole) is brave, audacious and sometimes uncomfortably exposing – but it is also joyous and freeing at a deeply profound level. Only two artists at the peak of their talent, insight and skill could produce a project of such gravitas and complexity.